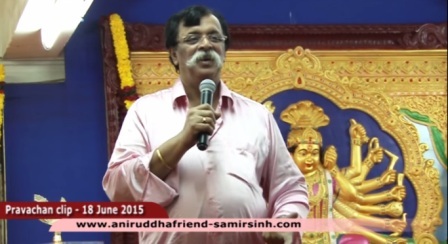 performed at Shree Aniruddha Gurukshetram. Every Shraddhavaan can participate in this Rudra Seva. While this ritual is in progress, apart from the chanting of the other stotraas, the Shree Rudra is chanted 11 times. While the chanting is in progress, every Shraddhavaan can perform the Abhishek of the idol of Shree Dattatreya with milk and participate in the poojan. 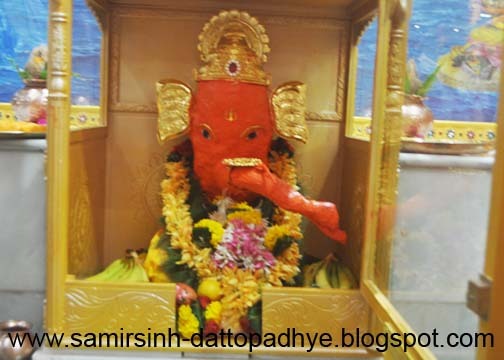 The idol of Shree Dattatreya which is otherwise situated in the temple (devghar) at Bapu’s (Aniruddhasinh) residence, is brought to Shri Harigurugram every Thursday so as to enable Shraddhavaans to have darshan. After the Upasana is complete, poojanof the idol is performed. 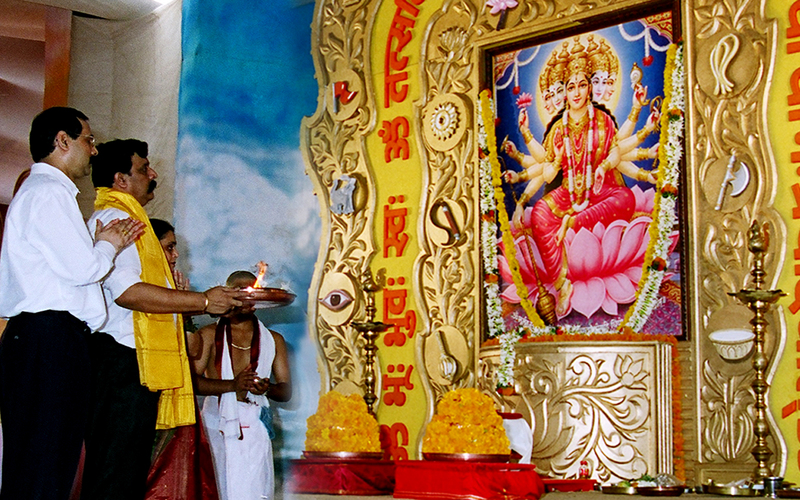 Even Sadguru Bapu (Aniruddhasinh) performs poojan of this idol before commencing His discourse. 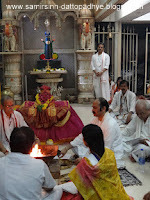 The idol of Shree Dattatreya (deity of all) which is otherwise situated in the temple (devghar) at Bapu’s (Aniruddhasinh) residence, is brought to Shri Harigurugram every Thursday so as to enable Shraddhavaans to have darshan. After the Upasana is complete, poojanof the idol is performed. 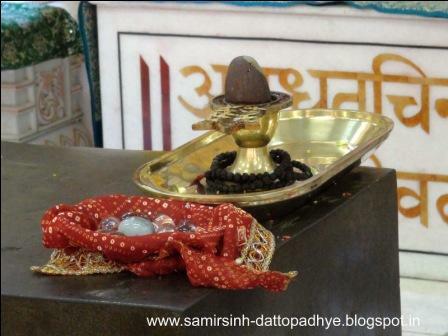 Even Sadguru Bapu (Aniruddhasinh) performs poojan of this idol before commencing His discourse. In the Rudra Seva that is performed on every Monday, 11 Shraddhavaans get an opportunity to participate. It is only during the month of Shraavan that the number is increased to 16. Shraddhavaans who have been allotted the Rudra Seva are expected to report to Shri Aniruddha Gurukshetram by 5.30 pm.